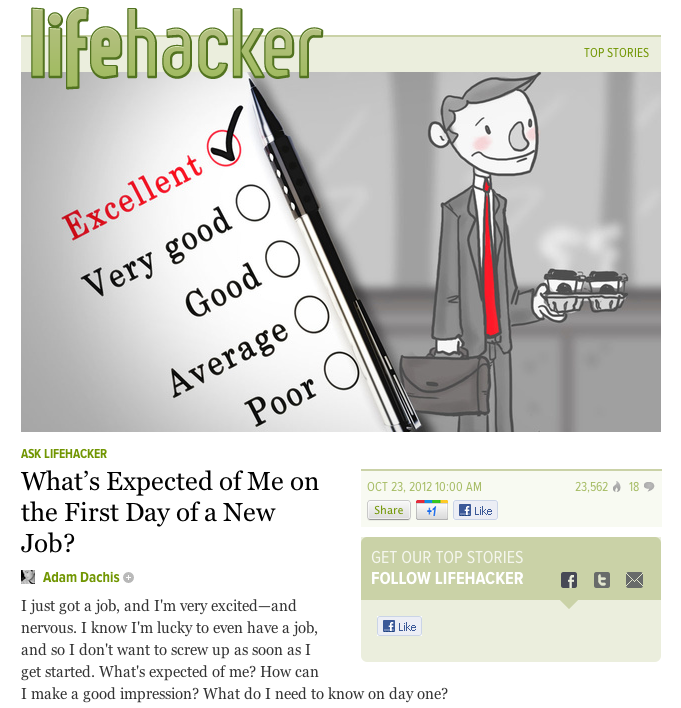 The other day I drew some Lifehacker banners as part of an "audition" to be a contributing designer at Lifehacker. Not sure if I'll be doing more just yet, but one of my audition pieces went up yesterday. I did two like that in an hour or so. It was a ton of fun to do. You get an article title and a super short summary and you have to turn something around fast. After writing all day at my job, having to flex a different creative muscle like that is refreshing, challenging and fun. I'm challenging myself in these to be quick, stick to a consistent style, and to limit the color palette. Here's hoping you'll see more.